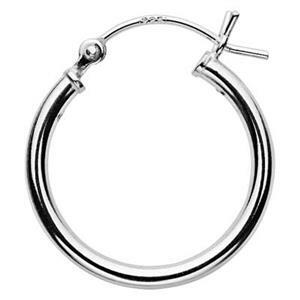 Sterling Silver 20x21.1mm 21 gauge Hinged Hoops, 2mm Hoops Width. Order 2pcs to get one pair of earrings. These are basic, but not lacking in integrity.